The phoenix exists in both western and eastern mythologies. This version is in line with the western version. 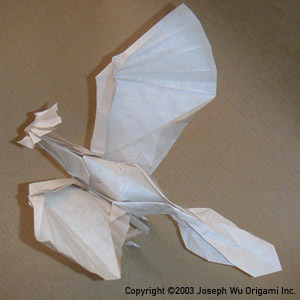 It is folded from two sheets (the legs and belly are from a separate sheet). The body is influenced by KAMIYA Satoshi's chocobo model.